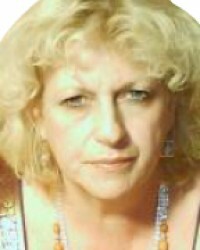 Charlotte is a natural Clairvoyant with great experience in complicated situations. She uses her gift in order to help people in dark places and heal their souls. She has dedicated herself to transforming your pain into relief and joy. She can use her gift to read for you and understand your deeper desires and feelings. She has a developed intuition and has been reading the Tarot for over 30 years and specialises in love and relationship issues. Charlotte will give you extensive details surrounding any problem and help you discover the best course of action for any matter. Don't miss out on the most accurate reading of your life! Give a call to our receptionists on 0207 111 6304 from the UK or 1877 608 3731 from the USA and they will book a reading for you with Charlotte. Alternatively, if you live in the UK, you can reach Charlotte directly, by calling 0905 005 8100 - her PIN number is 4005.